TSI competes in Trot for Hunger to support So Others Might Eat. - Transformation Systems, Inc.
TSI competes in Trot for Hunger to support So Others Might Eat. 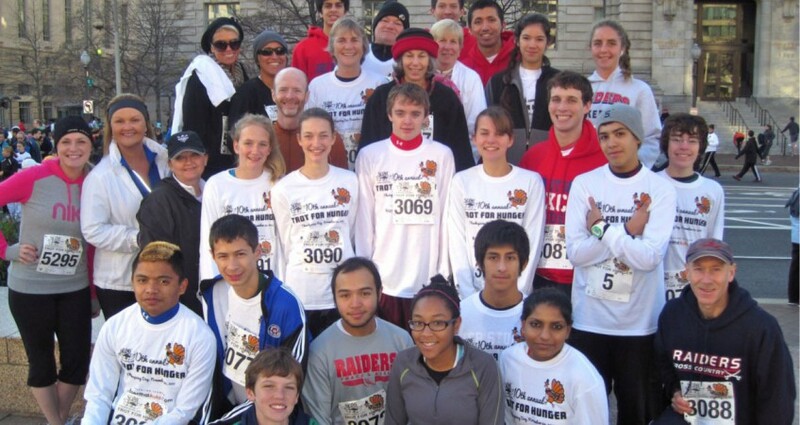 A team of thirty eight TSI volunteers competed in the 10th Annual Thanksgiving Day Trot for Hunger on November 24, 2011 in Washington, D.C. The race supports the hungry and homeless by raising money to benefit So Others Might Eat. Eight of the TSI participants ranked in the top twenty for their age category at the event. So Others Might Eat is one of TSI’s charities of choice as part of their Feed to Lead Program.SOME’s mission is to restore hope and dignity, one person at a time by feeding, clothing and training homeless people in Washington, D.C. TSI CEO Marta Wilson started the Feed to Lead Program which commits multi-year funding earmarks and time to fight hunger and promote literacy and STEM educa-tion. For more information about the program.